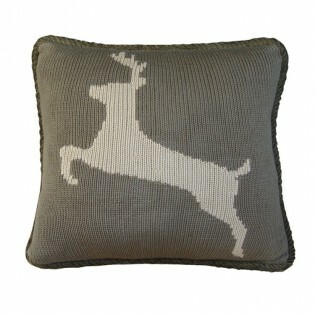 Enjoy the homespun appeal of this gray hand knit accent pillow featuring a simple jumping deer silhouette in light gray. 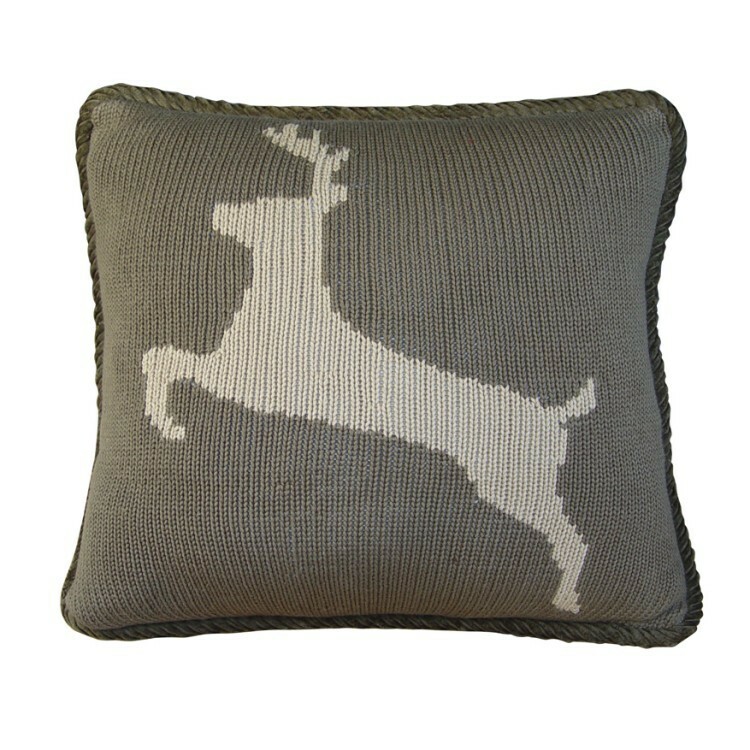 Pillow reverses to corduroy. Shipping: Approx 1-3 Business Days.